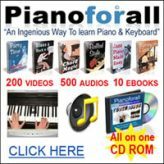 Do you have a Yamaha Music Keyboard or Digital Piano related question? Ask it here! Please note: New Yamaha music keyboard related questions go here and not below. However, you can still answer and comment on the various questions already posted on this page. Thanks a lot. I have added a new page due to the fact that this one has gotten too long. It's been an overwhelming success! Learn about the best places to shop for Yamaha musical keyboards. 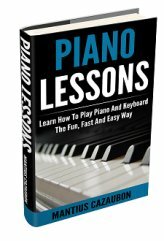 Have Any Yamaha Keyboard Related Thoughts For Discussion? I need to set up a sustaining pedal. half of screen not working, sometimes!? how can connect PSR 550 keyboard to Computer...... whats the name of the connecting cable? What is my Yamaha Clavinova PF P-100 worth? Difference between a synthesizer, an arranger, and a workstation? Does the L-255B stand fit a P-155 piano? I need a wooden stand for a P-155, but I cannot find one (the original L-140) anywhere. My master volume pans r & L is stuck on high volume-what could it be ?- I just bought this keyboard and it was like this.